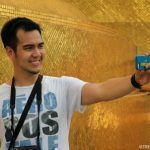 A full-time travel blogger and SEO Consultant from The Philippines. I've been to 34 countries and counting. more A full-time travel blogger and SEO Consultant from The Philippines. I've been to 34 countries and counting.